If I could only eat one cuisine for the rest of my life, I really wouldn’t mind eating Korean food forever—especially if it’s samgyeopsal. And I know I’m not the only one who loves Korean food, which I’m guessing is the reason you clicked on this article in the first place. 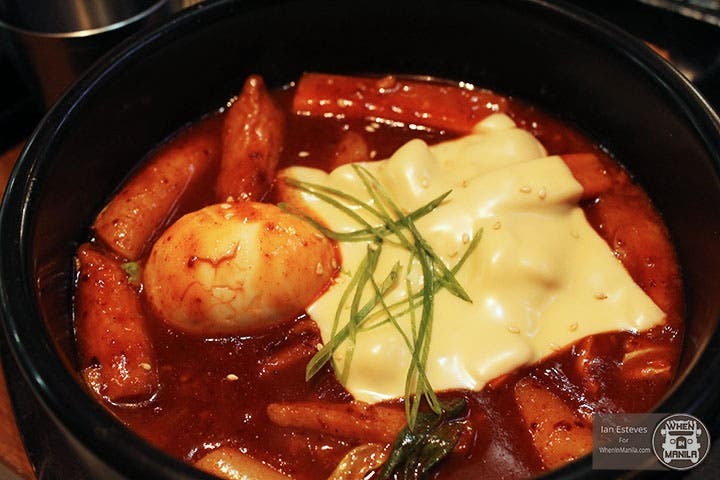 Located near City of Dreams Manila, Nak-Won is a Korean restaurant you really must try. Nak-Won has you covered for your samgyupsal cravings and more. And for just P499 a head, you can have all the samgyupsal you want, plus sides. Yes, unlimited. Aside from the unli-samgyupsal, Nak-Won also serves various traditional Korean dishes. Some of the dishes we had were herb and duenjang samgyupsal (grilled marinated pork belly), yangnyumgalbi (marinated grilled short ribs), bowls of sundubu jogye (tofu stew), Gyeran Jjim (steamed egg), and tteok-bokki (stir-fried rice cakes), and an array of unlimited sides including sticky steamed rice, pickled cloves of garlic, radish, sweet marble potatoes, and of course, everyone’s favorite kimchi. 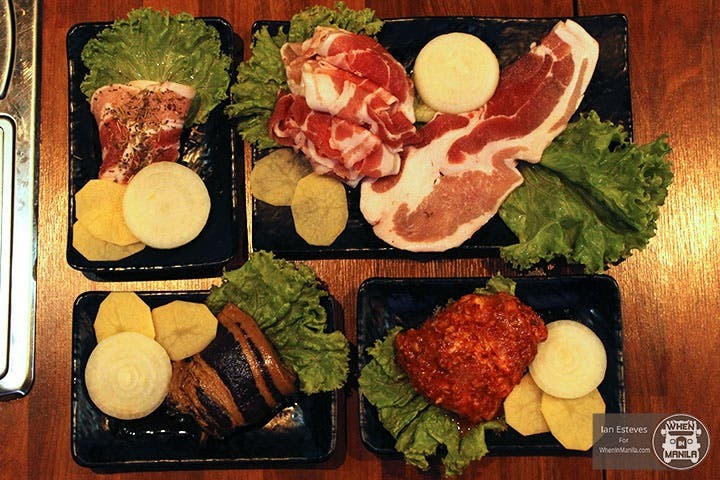 Unlike other samgyupsal grills that offer paper-thin slices of pork, Nak-Won serves generous cuts of premium pork. Their unli-samgyup promo is just like eating at a buffet, but better. It’s always a fun experience grilling your own food, but it’s also nice to have some kitchen-prepared viands on the table as well. And a Korean meal isn’t complete without some noodles, so we ordered a bowl of Jjampong (spicy seafood noodle soup), which is sure to get a kick out of spicy food enthusiasts. Nak-Won serves one of the most delicious bowls of jjamppong I’ve ever tried—a pot full of mussels, squid, and vegetables swimming in red hot broth. But, be warned! 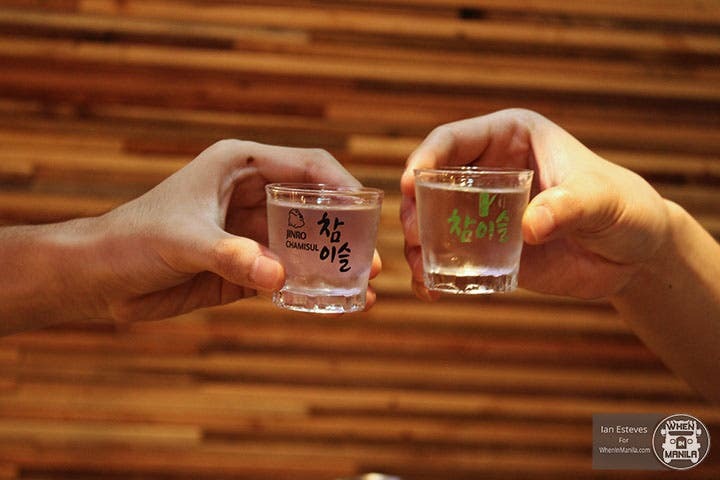 The spice hits you straight in the throat, so it might be a good idea to have your soju ready. If you don’t feel like cooking, they also have rice meals to choose from, but of course, nothing beats the grill. 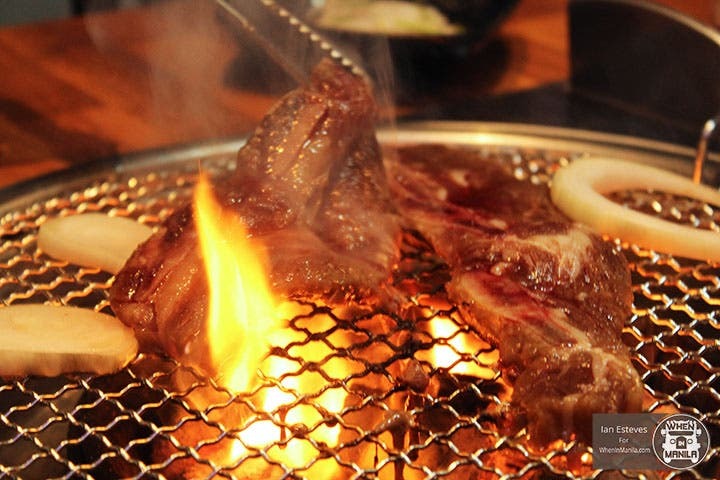 Nak-Won offers a wide selection of a la carte meats, BBQ, and seafood. We got to try their LA galbi (LA-style marinated grilled short ribs). What can I say—I came for the samgyeopsal, but stayed for the beef. The meat was incredibly tender and every bite was mouth-watering goodness.